Nursing home patients are extremely vulnerable. By definition, they need the help of professional caregivers to remain safe. 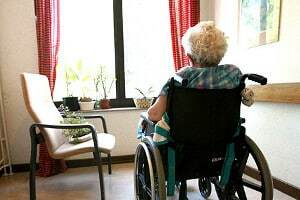 Nevertheless, there are numerous cases of negligence, abuse and unsafe premises in nursing homes. If you have had a loved one injured in a nursing home setting, Vancouver WA personal injury attorney Roger Priest can help. Issues can include negligent hiring, negligent supervision, inadequate safety policies, and failure to provide necessary treatment. It may not even be immediately apparent that an injury was the fault of the nursing home facility. However, when in doubt, it pays to speak to a personal injury lawyer who can help you. Vancouver Washington attorney Roger Priest offers a free consultation on every case, so call today. Every case is fact specific. Whether the nursing home accepts medicare imposes additional federal regulations that must be followed. If the nursing home fails to follow these rules and an injury results, a lawsuit may be warranted. Proving liability in comparison with the federal regulations is a long and tedious process. It can take months of investigation to uncover. Call an experienced attorney today to get started. We work on a contingent fee basis, so you can get an experienced attorney without a ton of money upfront.